Jakarta - Indonesian International Motor Show (IIMS) automotive exhibition 2016 which took place in JIEXPO, Kemayoran on 7 to 17 April 2016, presented several awards categories on their closing night, for the participated automotive companies in IIMS 2016. Toyota Indonesia managed to won 3 awards, as announced by the organizers of the IIMS exhibition, Dyandra Promosindo. 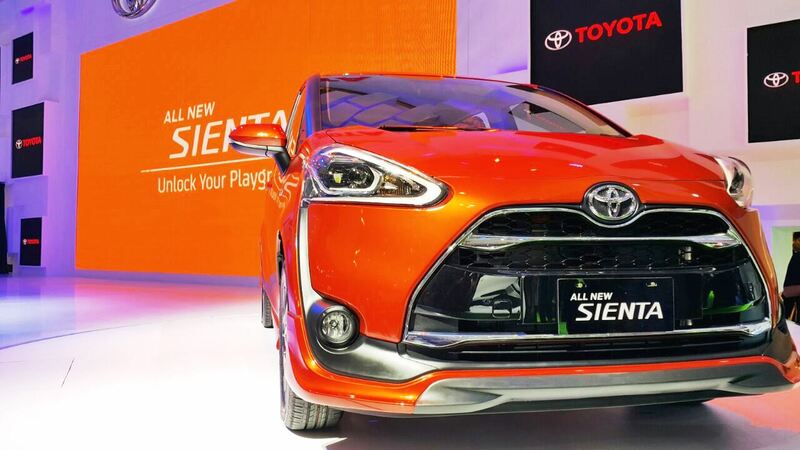 Toyota's latest car, All New Sienta, which produced at TMMIN Plant #3 Karawang factory, also managed to draw Indonesian people’s attention thus awarded Best Buy Car in IIMS 2016. In addition of the achievements, Toyota Indonesia has also won another award from another category namely The Best Booth award on IIMS 2016. With their "Unlock Your Playground" concept, in more than 1.400 m2 wide area, Toyota Indonesia featured variety of products, technologies, and more fun yet exciting services which represents the spirit of Toyota Let's Go Beyond. The final award from the organizers of IIMS 2016 achieved by Toyota Indonesia obtained through Toyota Pretty, Estherlita Corraima who won the title as Miss Motor Show 2016 and Jessica Claudia who won the title of Miss Congeniality. For this category, the winners judged from their brain, beauty and behavior aspect.